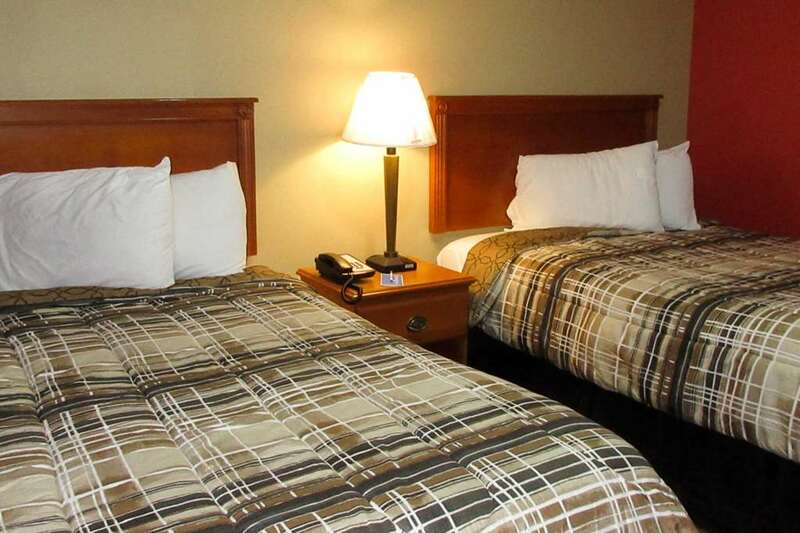 When all you need is a solid deal and a simple stay, the Rodeway Inn hotel next to the heart of historic downtown Murfreesboro, TN has just what you need. We are a short drive from MTSU, Oaklands House and Museum, Stones River Battlefield, Discovery Center, Avenue Mall and more. When traveling on a budget, you will appreciate our hotel amenities including free WiFi, free coffee, free daily newspaper, access to copy and fax services and more. Each room includes a 40-inch flat-screen TV, microwave, refrigerator, desk and more. Earn rewards with every stay with our Choice Privileges Rewards program. Many key mementos of The Possum, including the jacket cut off of him after he crashed his car while drunk, and a bag of his short-lived George Jones Cat Food. And lots of music stuff, too. Cornersville, Tennessee: Wyatt Archaeological Museum - Noah's Ark Found! Features the archaeological discoveries of Ron Wyatt (1933-1999), which include Noah's Ark, Sodom and Gomorrah, and the spot where Moses parted the Red Sea. An Indian grave, a cave, and a lady ghost, all in one attraction. Don't take anything from the cave, or the Bell Witch will make you suffer! A surprising 351-foot-tall obelisk, the tallest unreinforced concrete structure in the world, honors the only President of the Confederate States of America.